Here is a simple way of finding out your guardian angel. By doing a calculation using your date of birth, you will gain access to the introductory page of your angel. You will then be able to find out his name as well as gain access to all the information you need concerning then. Getting to know your guardian angel is also about getting to know yourself because your angel is someone who plays a part in many different aspects of your life, although they can be quite secretive. He fills you with different energies which help and guide you throughout your daily life. Just click the blue button “Find your Angel” and follow the two steps given to you after. The first involves selecting your birth month and the second requires you to choose the 5-day period which includes the date of your birth. Just like in astrology where the signs of the zodiac change with the month, the 72 guardian angels change every 5 days. The angel calendar starts on March 21 with the first angel Vehuiah and finishes with Mumiah on March 20. Work out who your guardian angel is both accurately and free of charge, you just have to use your date of birth. Unlike in astrology or your natal chart, the time and place of your birth are not taken into account. That being said, time can be very important in communicating with the angels and within angelology in general. There are specific times for communicating with each angel and there are also mirror hours which are a way your angel uses to send you information. There is also a three-angel calculator and an archangel calculator as well. We will have these calculators set up soon so that you can have access to all of this information as well. We want everybody to be able to find out their angel’s name for free. To use the guardian angel calculator you don’t have to register. Finding out your guardian can be done straight away, quickly and easily. What will I learn about my guardian angel? The first thing you will find out is your guardian angel's name which is extremely important. In fact, the 72 angels are also known as the 72 names of God. We have therefore made a “translation” of your angel’s name available to you so that you can understand what he represents. This includes lots of different information like the period of time that he has influence over; whether his energy is masculine or feminine; his degrees and sign of the zodiac; his place in the angelic hierarchy whether he be among the Seraphim, Cherubim, Thrones, Dominions, Virtues, Powers, Principalities, Archangels, or the Angels; the sefirot he is a part of as well as the name of the archangel who governs his regency. You will also learn the planets which influence him and the element which he represents. Finally you will learn what he represents, what he provides you, and the stone he corresponds with. Your guardian angel gives you qualities which will be easy to recognize as they have been a part of your personality all throughout your life. If you are a positive person with confidence in yourself who feels ready to face all the things life throws at you, your guardian angel is definitely beside you. He brings you positive energies which help you to better perceive the world around you, this includes both the visible and invisible worlds. These spiritual beings were created by God to help us on this plane of existence. It is important to get to know them and learn what they can provide us. We all have our own inner demons which can be difficult to fight alone. We may also find ourselves overcome by negative energies which can turn our happy lives into a real nightmare. Your guardian angel regulates certain negative aspects of your personality like anger, jealousy, fear, etc. Here you will learn about the things he channels within you in order to allow you to return to the path of love and light. We provide the different times for communicating with your angel. This includes the physical time that corresponds with the 5-day period your angel has influence over; the intellectual time that corresponds with a 20-minute window every 24 hours; and finally the emotional time which includes 5 dates or 24-hour periods throughout the year. Every angel can provide help in a specific area. Here you will find all the things you can ask your guardian angel to allow him to help you more efficiently. 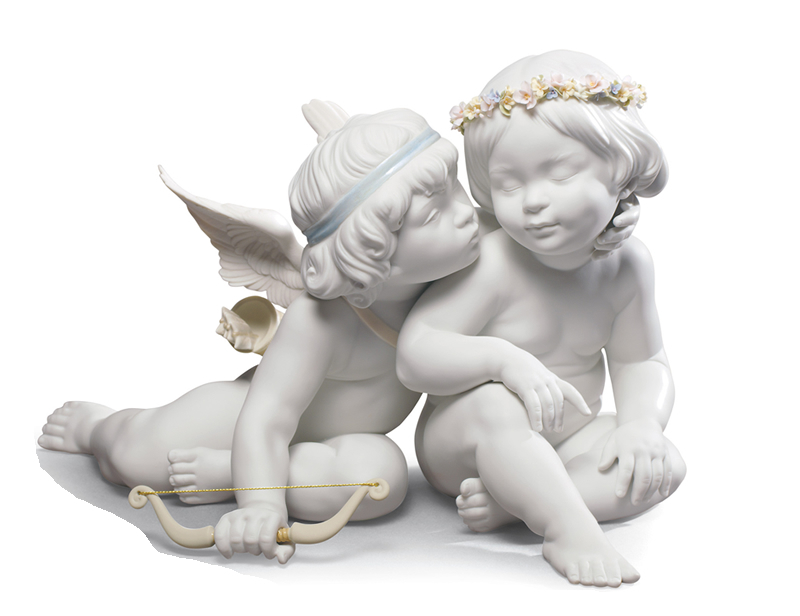 Getting to know your angel better can really help you to progress more smoothly in the future. You can also work together with the 72 angels. By taking the time to study their different characteristics you will find it easy to know which one to pray to whenever you encounter a problem and are in need of help. To allow you to formulate your question to your guardian angel you have the option of leaving him your prayer completely free of charge. Rest assured that we check that all prayers left are serious. We have had to put in place a moderation system due to previous abuse, but if you take the time to write a prayer carefully we will post it on the site. As indicated above you can access all the introductory pages of the 72 angels free of charge. To make it easier to access each one, here is a menu which will lead you directly to the guardian angel that you want to know or learn more about. Our guardian angels can help us in many ways and over time we will try to give you the maximum amount of information on the subject as we can through the articles on our blog. These include for example a study into our former lives and a way to align our karma and our 7 chakras with the help of angelic interference and prayer. You will also find meditation sessions in the video section which can be a useful tool for helping you to meditate from home. The angels of God are a part of himself that he has presented to us. They are present in the Jewish tradition of Kabbalah, but also in the Catholic Church and in Islam. Their use in the divinatory arts allows people with the gift of mediumship or clairvoyance to interpret their message. We can invoke our spiritual guide directly or by using an oracle. This can prove necessary when asking for purification, psychic cleansing, or in order to chase away bad spirits or fight a curse. Spiritualism without spiritual protection can prove dangerous. Having the protection of your guardian angel is vital to anyone who wants to deepen their understanding of the occult. Knowing and communicating with your guardian angel alone or with the help of a medium allows you to move forwards along your life’s path. This will bring you guidance and protection. A reading from the oracle can be likened to a reading of the Tarot. The 72 cards represent the 72 angels and an interpretation of the cards allows us to receive accurate predictions often filled with wisdom. Once you have gotten to know your guardian angel and the names of the angels are no longer a secret to you, you will be able to ask your questions to them directly by using the oracle to find out your future in regards to love, work, money, or spirituality. I love the angels! I want to share!